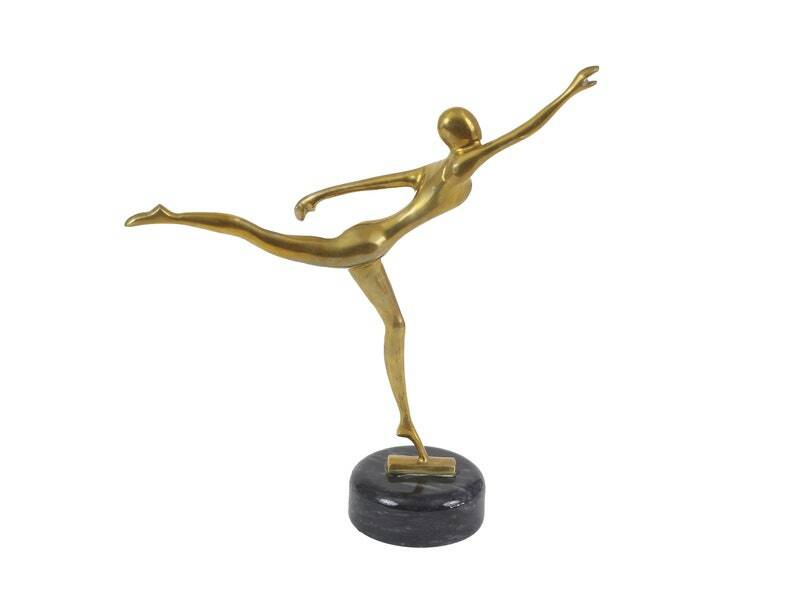 A brass sculpture of a dancer/ballerina on a circular marble base. This work features an anonymous figure suspended in an arabesque position on her toes. The figure remains faceless and is sculpted with a smooth texture, giving her an overall abstract appearance. No maker marks or signatures are visible. Dimensions: 14" x 13.5" x 4"